The Telugu Desam Party on Tuesday released its list of 25 candidates for the Lok Sabha election in Andhra Pradesh, retaining a majority of the sitting MPs while nominating the kin of the incumbents in a couple of constituencies. 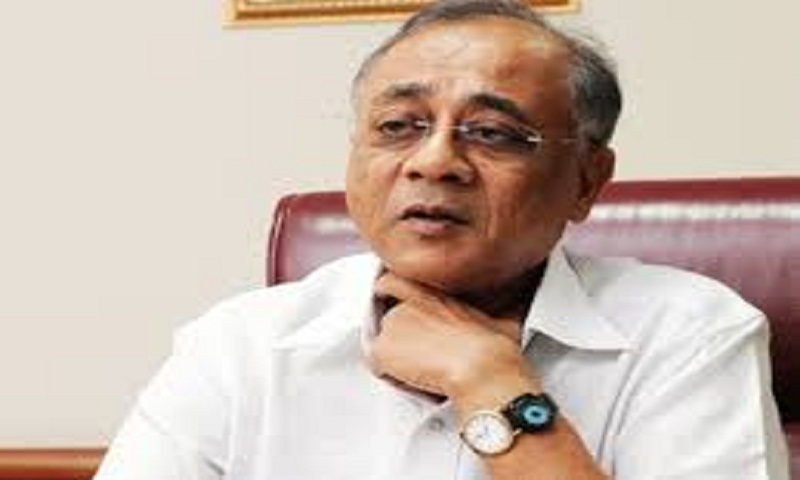 Veteran Congress leader and former Union minister V Kishore Chandra Deo, who had recently joined the TDP, has been given the Lok Sabha ticket from Araku (ST) constituency. Former Union ministers Kotla Suryaprakash Reddy and Panabaka Lakshmi, who, too, quit the Congress in recent days, have been nominated from Kurnool and Tirupati (SC) respectively. Nandamuri Balakrishna's son-in-law, M Bharat, got the Visakhapatnam ticket. Chief Minister Chandrababu Naidu, his son Nara Lokesh and Balakrishna are contesting the Assembly elections, while Bharat has now been given the Lok Sabha ticket. Animal Husbandry Minister C Aadinarayana Reddy is being fielded from Kadapa Lok Sabha constituency as part of an intra-party adjustment. Environment and Forests Minister Sidda Raghava Rao has been chosen as the candidate from Ongole after a lot of resistance from party cadres against his nomination. Former Lok Sabha Speaker Ganti Mohana Chandra Balayogi's son, Harish, has been given the Amalapuram (SC) ticket. As sitting MPs from Anantapuramu and Rajamahendravaram, J C Diwakar Reddy and Maganti Muralimohan opted out of contest this time, their kin Pawan Reddy (son) and Maganti Roopa (daughter-in-law) have been given tickets from the respective constituencies. Former Union minister P Ashok Gajapati Raju has been re-nominated from Vizianagaram, while other sitting MPs K Rama Mohan Naidu, Galla Jayadev, Kesineni Srinivas (Nani), Maganti Venkateswara Rao (Babu), Konakalla Narayana, Rayapati Sambasiva Rao, Sriram Malyadri, Nimmala Kistappa and N Siva Prasad have been given tickets again. There was speculation that Rayapati Sambasiva Rao might jump to the YSR Congress, peeved over denial of Assembly ticket for his son, but ultimately the TDP appeared to have persuaded him against doing so. With its sitting MPs from Kakinada and Anakapalli, Thota Narasimham and M Srinivasa Rao, defecting to the YSRC, the TDP had to choose new candidates, C Suneel and A Anand, for these seats. Nandyal MP S P Y Reddy, who defected from the YSR Congress, has been denied a ticket. Though Reddy sought the ticket for his daughter, Sujala, because of his health problems, the TDP did not oblige. The father-daughter duo is now getting ready to contest as Independents for the parliamentary and assembly elections. Legislator D Satyaprabha has been chosen as the Lok Sabha candidate from Rajampet segment. For Narasapuram and Nellore seats, the TDP nominated V Sivarama Raju and Beeda Mastan Rao respectively. In 2014, the BJP had won Visakhapatnam and Narasapuram seats in alliance with the TDP. There are 25 Lok Sabha seats in the state and it will go to polls in a single phase on April 11.